Few things seem to raise hackles about the Local Taphouse’s Hottest 100 as much as the ownership of Little Creatures and it’s inclusion in a nominally Australian craft beer only countdown. One of the more frequent suggestions is for the countdown to exclude Little Creatures, James Squire and Matilda Bay because of their foreign and/or corporate ownership. To me, this is silly. Like Vegemite, Aeroplane Jelly, R.M. Williams or any number of iconically Australian brands, foreign ownership is nothing new. It rarely raises as much ire in the general public as Lion’s ownership by Kirin does among beer nerds. So how did Little Creatures end up in nominally Japanese hands? 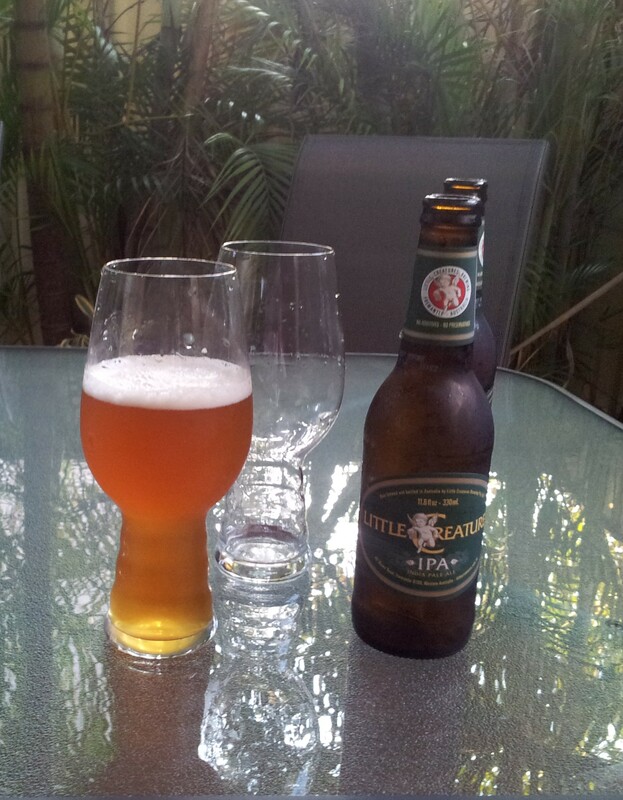 Many Australians, even non-beer nerds, would be familiar with Little Creatures. The brewery was founded in 2000 in Fremantle, Western Australia. The former brewers from Matilda Bay, which also originated in WA, formed Little World Beverages and hit success with their Little Creatures Pale Ale. They later expanded the range to include a Bright Ale and established a Healesville, Victoria brewery for their White Rabbit marque in 2008. In 2012, LWB was sold to Lion Nathan for an impressive $380 million. Lion Nathan has a long history, originating as Brown Campbell & Co in 1840 in Auckland, NZ. 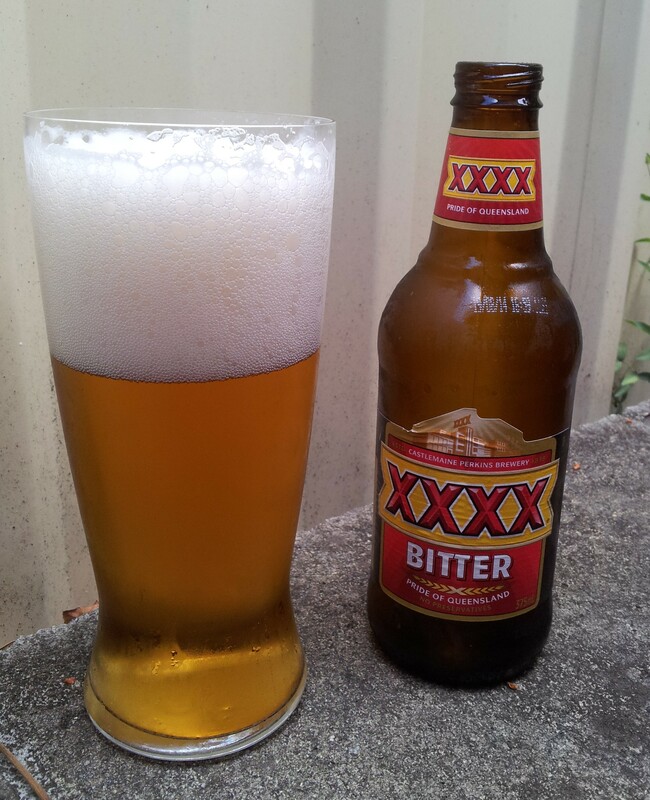 During the twentieth century, many of Australia’s largest beer brands, including Tooheys, XXXX and James Boag, ended up in the Lion portfolio, along with significant interests in dairy, juice and soy after a merger with National Foods in 2009. Kirin Brewery Company was founded in 1885 and is today one the world’s ten largest breweries. Kirin completed a takeover of Lion Nathan in 2011 and de-listed it from the Australian Stock Exchange. I suppose this is the point most people consider Lion to have become a Japanese company, despite the fact that Kirin began investing in Lion Nathan in the early ’00s and had a number of directors sitting on the Lion board in the decade preceding the buyout. Kirin Brewery Company is one component of the Mitsubishi keiretsu. A keiretsu is a web of cross-ownership between large Japanese corporations. Mitsubishi, the car manufacturer, and a bank known as the Mitsubishi UFJ Financial Group own a chunk of Kirin each and in turn Kirin owns a much smaller chunk of Mitsubishi and the bank. The cross-ownership binds the companies together in a way that avoids creating a zaibatsu (a very large, vertically integrated company with numerous interests across a wide array of industries, which were the target of regulatory deconstruction during the post-war US occupation – imagine Coles or Woolies on steroids) but effectively creates one in spirit. The Mitusbishi keiretsu also has interests in shipping, electronics, chemicals, manufacturing and construction and is one of a number of keiretsu groups that dominate the Japanese corporate landscape. Mitsubishi, Kirin and Mitsubishi UFJ Financial Group are all listed on the Tokyo Stock Exchange and the latter is dual-listed on the New York Stock Exchange. This means not only are the companies owned by each other but they are also publicly traded by people from around the world. The vagaries of capital flows are difficult to follow at the best of times and its well beyond my meagre amateur research skills to tug at the yarn ball structure of the keiretsu to see what unravels. Case in point, a small fraction of Mitsubishi UFJ seems to be held by Toyota, which creates more questions than it answers. However, with a couple of trillion sloshing around in Australian superannuation funds, some of that stupefying amount of money is used to gain exposure to international stock markets. The Tokyo Stock Exchange is the third largest – after New York and the NASDAQ – and around 25% of the TSX is held by non-Japanese entities. It’s a small intuitive leap to suggest that Aussie super funds would have some fingers in the Nikkei 225 pie. So the answer to “Who owns Little Creatures?” is “I don’t know” but it might actually be you. I’d check with your superannuation fund manager. But for the most part, it’s probably other companies, pension funds and wealthy people from around the globe. Like, you know, everything else. See the Pareto principle. It’s difficult to tell but I feel the label “Japanese” or even “foreign” shows a lack of nuance when dealing with transnational corporations. They’re global, which though many don’t seem to recognise it, does actually include the land down under. More importantly, the beer is brewed in Australia, packaged here and, despite a couple of years of macro ownership, still tastes pretty damn good, so where the profits end up has little relevance to me as a punter. Looking a bit further forward, I think it’s likely that as the “craft” sector evolves in Australia, we’ll see more mixed ownership structures (e.g. the sale of 20% of Stone & Wood to Little World Beverages in 2009), public offerings (e.g. Equity for Punks or Boston Beer Company) and corporate buyouts (e.g. Boulevard to Duvel or Blue Point to AB-Inbev), so you better get used to it. So does the eye-crossingly complicated ownership of Little Creatures matter to you? Edit: As pointed out in the comments, Stone & Wood re-purchased their 20% stake when LWB was sold to Lion and is now wholly independent. I was aware of this and only omitted it for clarity which, ironically, made things less clear. Reblogged this on Beer & Beard Aka @Beardface151. Excellent point about LCPA still being made in Australia and still tasting good (except when venues don’t treat their stock well, but that’s another matter), and I agree. Unless they ship production overseas or Lion control leads directly to a decline in quality, I’ll have no qualms about it making the Hottest 100. Thanks Adrian. I’ve made a corresponding note of Stone & Wood’s sale. I agree that if LCPA were made overseas and shipped in, that would be pushing the limits of calling it “Australian”. Hopefully Lion/Kirin leaves it be. Great post…and I agree that it doesn’t matter to the quality of the beer who owns the brewery, if they maintain the quality which LC have managed to do. I think their IPA is a cracker. The one area where ownership comes in for me though is the question of what people think they are supporting. In blind tastings an apple bought from Woolworths might be indistinguishable from an apple bought at a Farmer’s Market, but many people choose to buy it at the latter because they like supporting a small grower…or just not buying from a big business like Woolworths. Studies show this choice can make a tangible change to their subjective enjoyment of the apple, even if there is no objective difference to the flavour. While Little Creatures beer is every bit as good as it always has been, some people like the feeling of buying from a genuinely independent brewery…and that choice makes their beer taste better, even if just in their mind. Oh, and Stone & Wood did sell 20% to LC, but they bought it back when Lion bought LC. They are 100% independent again. I’m one of those people. I don’t care at all that LC isn’t Australian owned or that they’re on the Hottest 100 list but philosophically I prefer to support smaller/independent businesses. Local, fresh and connected to the community has a greater value to me than something imported (I’m in Tasmania) and made by a corporation. I’m not trying to convince myself that local and independent tastes better, LC has huge production, QC & distribution advantages and is probably better than nearly everything brewed in my state, but there’s a greater level of accountability in a local brewery and the profits aren’t going towards some ridiculous CEO salary or shareholders. Nick, I wouldn’t sell Moo Brew or 2 Metre Tall short. The choice between MB and LC is a tough one for me. Fair enough, I veer off topic easily. MB is good but rarely great. I agree that it’d be a difficult choice, I didn’t say there was *nothing* better than LC. 2MT can be good but is infuriatingly often infected.